American Jewish History & Life; Jews in the Americas; American Religion; American Jews and Israel. Sarna, Jonathan. "Jewish Women Without Money: The Case of Cora Wilburn (1824-1906)." NASHIM 32. (2019): 23-37. Sarna, Jonathan. "My Life in American Jewish History." CONVERSATIONS WITH COLLEAGUES. Ed. Jeffrey Gurock. Boston: Academic Studies Press, 2019. 161-187. Sarna, Jonathan. "Orthodox Jewish Lawyer-Leaders in Nineteenth-Century America." Ennoble and Enable: Essays in Honor of Richard M. Joel. Ed. Zev Eleff & Jacob J. Schacter. Jerusalem: Maggid Books, 2019. 361-370. Sarna, Jonathan. "The Forgetting of Cora Wilburn." Studies in American Jewish Literature 37. 1 (2018): 73-87. Sarna, Jonathan. "The Future of the Pittsburgh Synagogue Massacre." Tablet Magazine (2018): <https://www.tabletmag.com/jewish-news-and-politics/274291/future-pittsburgh-synagogue-massacre>. Sarna, Jonathan. "From Periphery to Center: American Jewry, Zion, and Jewish History after the Holocaust." American Jewry: Transcending the European Experience. Ed. Christian Wiese and Cornelia Wilhelm. London: Bloomsbury, 2017. 307-315. Sarna, Jonathan. "Louis H. Feldman (1926-2017)." Biblical Archeology Review 11. Sarna, Jonathan. "Louisa B. Hart: An Orthodox Jewish Woman’s Voice from the Civil War Era." You Arose A Mother in Israel: A Festschrift in Honor of Blu Greenberg. Ed. Devorah Zlochower. New York: JOFA, 2017. 95-102. Sarna, Jonathan. "Praying for Governments We Dislike?." The Lehrhaus (2017): <http://www.thelehrhaus.com/commentary-short-articles/2017/1/2/praying-for-governments-we-dislike>. Sarna, Jonathan. "The Bible and Judaism in America." The Oxford Handbook of the Bible in America. Ed. Paul C. Gutjahr. New York: Oxford University Press, 2017. 505-516. Sarna, Jonathan. "’The Last Years Were the Most Difficult’: A First-Person Account of a Mission to the Soviet Union in March 1986." Black Fire on White Fire: Essays in Honor of Rabbi Avi Weiss,. Ed. Daniel Goodman. New York: YCT Rabbinical School, 2017. 131-140. Sarna, Jonathan. American Jews and the Flag of Israel. Waltham Brandeis University: 2017. Sarna, Jonathan/ Zev Eleff. "The Immigration Clause that Transformed Orthodox Judaism in the United States." American Jewish History 101. July 2017 (2017): 354-376. Sarna, Jonathan and Benjamin Shapell. LINKON VEHAYEHUDIM [Hebrew translation of LINCOLN & THE JEWS]. Tel Aviv: DVIR, 2016. Sarna, Jonathan. "100 Years Later, Has Brandeis’s Supreme Court Nomination Changed Everything – Or Nothing?." Forward January 29, 2016: 21. Sarna, Jonathan. "Avraham Avinu Ve’am Ha’ivrim Be-Artso." Et-Mol 244 (2016): 7-9. Sarna, Jonathan. "From Periphery to Center: American Jewry, Zion, and Jewish History after the Holocaust." American Jewry: Transcending the European Experience. Ed. Christian Wiese & Cornelia Wilhelm. London: Bloomsbury, 2016. 307-315. Sarna, Jonathan. "Lee Max Friedman Award -- Lecture." American Jewish History 100. October 2016 (2016): 565-570. Sarna, Jonathan. "Subversive Jews and American Culture." Tablet (2016): <http://www.tabletmag.com/jewish-arts-and-culture/books/197758/subversive-jews-american-culture>. Sarna, Jonathan. "Subversive Jews and American Culture: Notes on the Leonard Milberg Collection of Early American Judaica." By Dawn’s Early Light: Jewish Contributions to American Culture from the Nation’s Founding to the Civil War,. Ed. Adam Mendelsohn. Princeton: Princeton University Library, 2016. 189-204. Sarna, Jonathan. "The 'Subversive Jews' of Early America." Mosaic Magazine February 19, 2016 (2016): <http://mosaicmagazine.com/picks/2016/02/the-subversive-jews-of-early-america/>. Sarna, Jonathan. "The Value of Canadian Jewish History to the American Jewish Historian, and Vice Versa: Another Look." Neither in Dark Speeches Nor in Similitudes: Reflections and Refractions Between Canadian and American Jews,. Ed. Barry L. Stiefel and Hernan Tesler-Mabe. Waterloo: Wilfrid Laurier, 2016. 1-7. Sarna, Jonathan and Benjamin Shapell. Lincoln and the Jews: A History. New York: Thomas Dunne Books/St Martin's Press, 2015. Sarna, Jonathan, with Steven M. Cohen and Rona Sheramy. "Investing in the Jewish Studies Ph.D. Talent Pool." e-jewish philanthropy (2015): <http://ejewishphilanthropy.com/investing-in-the-jewish-studies-ph-d-talent-pool/>. Sarna, Jonathan. "American Orthodox Responses to Intermarriage." Conversion, Intermarriage and Jewish Identity: The Orthodox Forum. Ed. Robert Hirt, Adam Mintz & Marc D. Stern. New York: Yeshiva University Press, 2015. 409-426. Sarna, Jonathan. "America’s Most Memorable Zionist Leaders." The Individual in History: Essays in Honor of Jehuda Reinharz. Ed. ChaeRan Y. Freeze et al. Waltham: Brandeis University Press, 2015. 129-142. Sarna, Jonathan. "From World-Wide People to First-World People: The Consolidation of World Jewry." Reconsidering Israel-Diaspora Relations. Ed. Eliezer Ben-Rafael, Judit Bokser Liwerant and Yosef Gorny. Leiden: Brill, 2015. 60-65. Sarna, Jonathan. "George Washington's Correspondence with the Jews of Newport." Washington's Rebuke to Bigotry. Ed. Adam Strom et al. Boston: Facing History and Ourselves, 2015. 73-82. Sarna, Jonathan. "Letter from Boston: A Friend Indeed – and in Deed." Hadassah August-September 2015: 40-41. Sarna, Jonathan. "Lincoln's Surprising Jewish Connections." Beacon: The National Museum of American Jewish History Summer 2015: 6-7. Sarna, Jonathan. "Why Study American Jewish History." HaYidion: The RAVSAK Journal 26, 27, 52. Sarna, Jonathan & Zev Eleff. "United States Jewry." OXFORD JEWISH STUDIES BIBLIOGRAPHIES (2014): <http://www.oxfordbibliographies.com/.>. Sarna, Jonathan and Jonathan Golden. "Judaism." World Book Year Book 2013. 2014. Sarna, Jonathan with Carole Balin et al, ed. Sisterhood: A Centennial History of Women of Reform Judaism. Cincinnati: Hebrew Union College Press, 2014. Sarna, Jonathan. "America’s Religious Recession." MOSAIC November 2014 (2014): <http://mosaicmagazine.com/response/2014/11/americas-religious-recession/>. Sarna, Jonathan. "History: Barbara Goodman, Unheralded Hero." Reform Judaism 14-18. Sarna, Jonathan. "Jews and the Civil War." Passages Through the Fire: Jews and the Civil War. Ed. Jonathan Karp. New York: AJHS/Yeshiva University Museum, 2014. 9-29. Sarna, Jonathan. "Letter from Boston: People of the Silver Linings Playbook [on Pew Survey]." Hadassah 10-12. Sarna, Jonathan. "Lewis Feuer and the Study of American Jewish History." SOCIETY 50. (2014): 352-355. Sarna, Jonathan. "Marking Time: Notes from the Arnold & Deanne Kaplan Collection of Early American Judaica on How Nineteenth-Century American Jews Lived Their Religion." Constellations of Atlantic Jewish History 1555-1890. Ed. Arthur Kiron. Philadelphia: University of Pennsylvania Libraries, 2014. 49-62. Sarna, Jonathan. "Reform Jewish ‘Missionaries’ for Judaism: Barbara S. Goodman and the Committee on Religion of the National Federation of Temple Sisterhoods (1913-1933)." Why Jewish Women’s History Matters: An Archive of Stories in honor of Gail Reimer. Ed. Joyce Antler. Boston: Jewish Women's Archive, 2014. 24-26. Sarna, Jonathan. "The Jewish Bible in America." The Jewish Study Bible. Second Edition ed. Ed. Adele Berlin and Marc Zvi Brettler. New York: Oxford, 2014. 2081-2085. Sarna, Jonathan. "The Touro Monument Controversy: Aniconism vs. Anti-Idolatry in a Mid-Nineteenth Century American Jewish Religious Dispute." Between Jewish Tradition and Modernity, Rethinking an Old Opposition: Essays in Honor of David Ellenson. Ed. Michael A. Meyer and David N. Myers. Detroit: Wayne State University Press, 2014. 80-95. Sarna, Jonathan. "’To Quicken the Religious Consciousness of Israel': The NFTS National Committee on Religion, 1913-1933." Sisterhood: A Centennial History of Women of Reform Judaism. Ed. Carole S. Balin et al. Cincinnati: Hebrew Union College Press, 2014. 49-71. Sarna, Jonathan. "America's Russian-Speaking Jews Come of Age." Toward a Comprehensive Policy Planning for Russian-Speaking Jews in North America. Jerusalem: JPPI, 2013. 1-27. Sarna, Jonathan. "Book Review." Rev. of Antisemitism: A History, by Albert S. Lindemann and Richard S. Levy. Journal of American Ethnic History vol. 32 2013: 119-121. Sarna, Jonathan. "Colonial Judaism." Cambridge History of Religions in America. vol. 1 Ed. 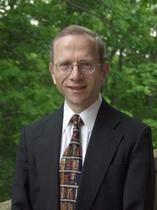 Stephen J. Stein. New York: Cambridge University Press, 2013. 392-409. Sarna, Jonathan and Jonathan Golden. "Judaism." WORLD BOOK YEAR BOOK 2012. 2012. Sarna, Jonathan. "American Jewish History: Backwards and Forwards." From Sinai to China: Essays in Commemoration of the 20th Anniversary of the Glazer Institute of Jewish Studies at Nanjing University. Ed. Xu Xin and Lihong Song. Nanjing: SDX Joint Publishing Company, 2012. 229-238. Sarna, Jonathan. "Civil War." Cambridge Dictionary of Judaism and Jewish Culture. 2012. Sarna, Jonathan. "Columbus, Christopher." Cambridge Dictionary of Judaism and Jewish Culture. 2012. Sarna, Jonathan. "Foreword." A Kosher Christmas. Ed. Joshua Plaut. New Brunswick: Rutgers U Press, 2012. xi-xii. Sarna, Jonathan. "George Washington's Correspondence with the Jews of Newport." To Bigotry No Sanction: George Washington and Religious Freedom. Philadelphia: National Museum of American Jewish History, 2012. 17-24. Sarna, Jonathan. "God Loves an Infant's Praise: Cultural Borrowing and Cultural Resistance in Two Nineteenth-Century American Jewish Sunday School Texts." INTERRELIGIOUS DIALOGUE AND CULTURAL CHANGE. Ed. Catherine Cornille and Stephanie Corigliano. Eugene, OR: Cascade Books, 2012. 59-77. Sarna, Jonathan. "God Loves an Infant's Praise: Cultural Borrowing and Cultural Resistance in Two Nineteenth-Century American Jewish Sunday School Texts." Jewish History 26. December 2012 (2012). Sarna, Jonathan. "Introduction." Jews in America: From New Amsterdam to the Yiddish Stage. Ed. Stephen D. Corrsin et al. New York: New York Public Library/Giles, 2012. 9-15. Sarna, Jonathan. "Jewish Publication Society." Cambridge Dictionary of Judaism and Jewish Culture. 2012. Sarna, Jonathan. "President Grant and the Chabadnik." Jewish Review of Books 3. Spring (2012): 10-13. Sarna, Jonathan. "The American Jewish Press." Oxford Handbook of Religion and the American News Media. Ed. Diane Winston. New York: Oxford University Press, 2012. 537-550. Sarna, Jonathan. "The Discontinuity of Continuity: An Interview with Jonathan D. Sarna." Reform Judaism 41. Winter (2012): 24-26. Sarna, Jonathan. "The Jewish Vote in Presidential Elections." Sh'ma January 2012: 3. Sarna, Jonathan. "The Redemption of Ulysses S. Grant." REFORM JUDAISM 22-26. 59-62. Sarna, Jonathan. WHEN GENERAL GRANT EXPELLED THE JEWS. New York: Schocken/Nextbook, 2012. Sarna, Jonathan & Dvorah E. Weisberg. "A Writ of Release from Levirate Marriage (Shtar Halitzah) in 1807 Charleston." AMERICAN JEWISH ARCHIVES 53. 1 (2011): 38-55. Sarna, Jonathan & Jonathan Golden. "Judaism." World Book Year Book. 2011. Sarna, Jonathan and Eitan Fishbane, ed. JEWISH RENAISSANCE AND REVIVAL IN AMERICA. Hanover: Brandeis University Press/UPNE, 2011. Sarna, Jonathan. "American Jewish History: Retrospect and Prospect." The Jews in America: Development and Influence of a Successful Community. Ed. Pan Guang, Wang Shuming, and Luo Ailing, eds.. Beijing: Shishi Publishing House, 2011. 3-14. Sarna, Jonathan. "Christians and Non-Christians in the Marketplace of American Religion." AMERICAN CHRISTIANITIES; A HISTORY OF DOMINANCE AND DIVERSITY. Ed. Catherine Brekus and W. Clark Gilpin. Chapel Hill: University of North Carolina Press, 2011. 119-132. Sarna, Jonathan. "Ethnicity and Beyond." Ethnicity and Beyond: Theories and Dilemmas of Jewish Group Demarcation - STUDIES IN CONTEMPORARY JEWRY. vol. 25 Ed. Eli Lederhendler. Oxford: Oxford University Press, 2011. 108-112. Sarna, Jonathan. "FOREWORD: THE GREENING OF AMERICAN ORTHODOX JUDAISM." THE GREENING OF AMERICAN ORTHODOX JUDAISM: YAVNEH IN THE NINETEEN SIXTIES:. Ed. KRAUT, BENNY. CINCINNATI: HUC PRESS, 2011. xi-xviii. Sarna, Jonathan. "Freedom!." Dreams of Freedom-National Museum of American Jewish History Catalog. Philadelphia: National Museum of American Jewish History, 2011. xiii-xix. Sarna, Jonathan. "Review." Rev. of American and British Jews in the Age of the Great Migration, by Lloyd Gartner. Studies in Contemporary Jewry vol. 25 2011: 162-163. Nadell, Pamela S., Sarna, Jonathan, and Sussman, Lance. New Essays in American Jewish History. Cincinnati and New York: American Jewish Archives/Ktav, 2010. Sarna, Jonathan and Adam Mendelsohn. Jews and the Civil War: A Reader. New York: NYU Press, 2010. Sarna, Jonathan and Jonathan Golden. ""Judaism"." World Book Year Book. 2010. Sarna, Jonathan, Charles H. Lippy & Peter W. Williams. "Chabad-Lubavitch." Encyclopedia of Religion in America. 4 vols. 2010. Sarna, Jonathan, Charles H. Lippy & Peter W. Williams. "Torah." Encyclopedia of Religion in America. 4 vols. 2010. Sarna, Jonathan. "The Democratization of American Judaism." NEW ESSAYS IN AMERICAN JEWISH HISTORY. Ed. Pamela S. Nadell, Jonathan D.Sarna & Lance J. Sussman. Cincinnati & New York: American Jewish Archives/Ktav, 2010. 95-108. Sarna, Jonathan. ""Proskauer, Joseph Mayer"." Yale Biographical Dictionary of American Law. Ed. Roger K. Newman. New Haven: Yale University Press, 2009. 439. Sarna, Jonathan. ""The Halakha According to B'nai B'rith"." Rav Chesed: Essays in Honor of Rabbi Dr. Haskell Lookstein. vol. II Ed. Raphael Medoff. New York: Ktav, 2009. 165-182. Sarna, Jonathan. "America As It Ought to Be: The Conflict Between Jewish Rhetoric and American Realities." Ideology and Rhetoric: Constructing America,. Ed. Bozenna Chylinska. Cambridge: Cambridge Scholars Publishing, 2009. 231-40. Sarna, Jonathan. "Leonard Bernstein and the Boston Jewish Community of His Youth: The Influence of Solomon Braslavsky, Herman Rubenovitz, and Congregation Mishkan Tefila." Journal of the Society for American Music 3. 1 (2009): 35-46. Sarna, Jonathan. "Review." Rev. of Speaking of Jews, by Lila C. Berman. Journal of American History vol. 96 2009: 888-889. Sarna, Jonathan. "The American Jewish Community in Crisis and Transformation." Contact Summer (2009). Sarna, Jonathan. "Two Ambitious Goals: Jewish Publishing in the United States." A History of the Book in America. Volume 4 Print in Motion: The Expansion of Publishing and Reading in the United States 1880-1940. Ed. Carl F. Kaestle and Janice A. Radway. Chapel Hill: University of North Carolina Press, 2009. 376-391. Sarna, Jonathan. "What's In A Name -- A Response to Barry Chiswick." Contemporary Jewry 29. (2009): 85-90. Sarna, Jonathan. The Economic Downturn and the Future of Jewish Communities. Institute forJewish Policy Research. London: 2009. Sarna, Jonathan and Golden, Jonathan. "Judaism." 2008 World Book Year Book. 2008. Sarna, Jonathan. ""Introduction"." Manischewitz: The Matzo Family. Ed. Laura Manischewitz Alpern. New York: KTAV, 2008. ix-xiv. Sarna, Jonathan. "An Eighteenth Century Hebrew Luah from Pennsylvania." American Jewish Archives 57. 1-2 (2008): 25-27. Sarna, Jonathan. "Intermarriage in America: The Jewish Experience in Historical Context." AMBIVALENT JEW: CHARLES LIEBMAN IN MEMORIAM. Ed. Stuart Cohen and Bernard Susser. New York: Jewish Theological Seminary of America, 2008. 125-133. Sarna, Jonathan. "The Mystical World of Colonial American Jews." Mediating Modernity: Essays in Honor of Michael A. Meyer. Ed. Lauren B. Strauss and Michael Brenner. Detroit: Wayne State University Press, 2008. 185-94. Sarna, Jonathan. "The Rise, Fall and Rebirth of Secular Judaism." Contemplate: The International Journal of Cultural Thought 4 (2008): 3-13. Sarna, Jonathan. "Two Jewish Lawyers Named Louis." American Jewish History 94. 1-2 (2008): 1-19. Sarna, Jonathan. A TIME TO EVERY PURPOSE: LETTERS TO A YOUNG JEW. New York: Basic Books/Perseus, 2008. Sarna, Jonathan. "Boston." Encyclopaedia Judaica. 2007. Sarna, Jonathan. "Historiography--American Jewish." Encyclopaedia Judaica. 2007. Sarna, Jonathan. "Marcus, Jacob Rader." Encyclopaedia Judaica. 2007. Sarna, Jonathan D.. "Orthodoxy Confronts America." Orthodox Judaism: New Perspectives. Ed. Y. Salmon, A Ravitzky, A Ferziger. Jerusalem: Magnes, 2006. 523-554. Sarna, Jonathan and Jonathan Golden. "Judaism." World Book Year Book. 2006. Sarna, Jonathan and Jonathan Krasner. The History of the Jewish People: A Story of Tradition and Change: Ancient Israel to 1880s America. New York: Behrman House, 2006. Sarna, Jonathan. "Afterword." My Yeshiva College: 75 Years of Memories. Ed. Menachem Butler & Ze'ev Nagel. New York: Yasher, 2006. 355-357. Sarna, Jonathan. "Jacob I. Cohen." Dictionary of Virginia Biography. vol. 3 Richmond: Library of Virginia, 2006. 345-347. Sarna, Jonathan. "Port Jews in the Atlantic: Further Thoughts." Jewish History 20. (2006): 213-219. Sarna, Jonathan. "Review of Three Books Dealing with America and Israel." by Zvi Ganin, Fred Lazin, Stuart Altshuler. Israel Studies vol. 11 of 3 168-173. Sarna, Jonathan. "The Crucial Decade in Jewish Camping." A Place of Our Own: The Rise of Reform Jewish Camping. Ed. M.M.Lorge and G. Zola. Tuscaloosa: University of Alabama Press, 2006. 27-51. Jonathan D. Sarna. "Afterword: The Study of American Judaism: A Look Ahead." The Cambridge Companion to American Judaism. Ed. Dana Evan Kaplan. New York: Cambridge, 2005. 417-421. Jonathan Sarna, ed. Michael W. Grunberger, ed. Michael W. Grunberger. "From Haven to Home: 350 Years of Jewish Life in America." American Judaism (2005). Sarna, Jonathan Historical Consultant. Challenge and Change: History of the Jews in America Civil War through the Rise of Zionism. Behrman House, 2005. Sarna, Jonathan, Victor J. Selmanowitz Lecture (pamphlet). How Matzah Became Square: Manischewitz and the Development of Machine-Made Matzah in the United States. Touro College. 2005. Sarna, Jonathan. "The Cyclical History of Adult Jewish Learning in the United States: Peers¿ Law and it Implications." Educational Deliberations: Studies in Education Dedicated to Shlomo (Seymour) Fox. Ed. Mordecai Nisan and Oded Schremer. Jerusalem: Keter, 2005. 207-222. Sarna,Jonathan, Victor J. Selmanowitz. How Matzah Became Square: Manischewitz and the Development of Machine-Made Matzah in the United States. .. 2005. Touro College. Sarna,Jonathan, edited with Ellen Smith and Scott-Martin Kosofsky. The Jews of Boston, 2nd edition. Yale University Press, 2005. Jonathan Sarna (with Jonathan Golden). Judaism. Chicago: 2004. Jonathan Sarna. American Judaism: A History. Yale University Press, 2004. Sarna, Jonathan. "American Judaism." From Haven to Home: 350 Years of Jewish Life in America. Ed. Michael W. Grunberger. Washingtn DC: Brazillier/Library of Congress, 2004. 129-145. Sarna,Jonathan (Historical Consultant to). Challenge and Change: History of the Jews in America Early Settlement Through Central European Migration. Behrman House, 2004. Sarna,Jonathan. "American Jewish History: A Chance to Reflect." The Chronicle of Higher Education (2004): B9-B10. Sarna,Jonathan. "Concentration." Sh'ma 35. 615 (2004): 2-3. Sarna,Jonathan. "The 350th Anniversary of American Jewish Life." AJS Perspectives (2004): 22-24. Sarna,Jonathan. "The Battle for the Jewish Vote." Boston Sunday Globe (2004): p.D12 [full page]. Sarna,Jonathan. "What Will American Jews Celebrate on their 350th Anniversary? [in Hebrew]." Gesher 50. (2004): 26-31. Sarna,Jonathan. American Judaism: A History. Yale University Press, 2004. Sarna,Jonathan. "Jewish Culture Comes to America." Jewish Studies 42. (2003): 45-57. Sarna,Jonathan. "The Question of Music in American Judaism: Reflections at 350 Years." American Jewish History 91. (2003): 195-203. Jonathan Sarna, Alan Mittleman & Robert Licht. Jewish Polity and American Civil Society: Communal Agencies and Religious Movements in the American Public Square. Rowman & Littlefield, 2002. Jonathan Sarna, Alan Mittleman & Robert Licht. Jews and the American Public Square: Debating Religion and Republic. Rowman & Littlefield, 2002. Jonathan Sarna, Eli Lederhendler. America and Zion: Essays and Papers in Memory of Moshe Davis. Wayne State University Press, 2002. Jonathan Sarna, co-eds Mark Raider & Ronald Zweig. Abba Hillel Silver and American Zionism. London: Frank Cass, 1997. Jonathan Sarna, editor. Minority Faiths and the American Protestant Mainstream. Urbana: University of Illinois Press, 1997. Jonathan Sarna, with David Dalin. Religion and State in the American Jewish Experience. Notre Dame IN: University of Notre Dame Press, 1997. Jonathan Sarna. The American Jewish Experience (2nd ed.). New York: Holmes and Meier, 1997. Jonathan Sarna, co-ed. Ellen Smith. The Jews of Boston. Boston: Combined Jewish Philanthropies and Northea, 1995. Jonathan Sarna, ed. by Marshall Sklare. Observing America's Jews. Brandeis University Press/UPNE, 1993. Jonathan Sarna, co-ed. Daniel Elazar & Rela Monson. Double Bond: The Constitutional Documents of American Jewry. University Press of America, 1992. Jonathan Sarna, co-ed. Henry Shapiro. Ethnic Diversity and Civic Identity: Patterns of Conflict and Cohesion in Cincinnati since 1920. University of Illinois Press, 1992. Jonathan Sarna, co-ed. Lloyd Gartner. The Jews of the United States. Jerusalem: Hebrew Union College/Merkaz Shazar, 1992. Jonathan Sarna, with Janet Liss. American Jewry: An Annotated Bibliography of Publications in Hebrew. Hebrew Union College-Jewish Institute of Religion , 1991. Jonathan Sarna. JPS: The Americanization of Jewish Culture (A History of the Jewish Publication Society 1888-1988). Jewish Publication Society, 1989. Jonathan Sarna with A.S. Korros. American Synagogue History: A Bibliography and State-of-the Field Survey. Markus Wiener, 1988. Sarna,Jonathan. The American Jewish Experience. Holmes & Meier, 1986. Sarna,Jonathan, co-ed.. Jews and the Founding of the Republic. Markus Wiener, 1985. Jonathan Sarna, trans. & ed.. People Walk on their Heads: Moses Weinberger's Jews & Judaism in NY. Holmes & Meier, 1982. Sarna,Jonathan. Jacksonian Jew: The Two Worlds of Mordecai Noah. Holmes & Meier, 1981. Jonathan Sarna, editor. Jews in New Haven. Jewish Historical Society of New Haven, 1978.